The No. 23 ranked Western New England Golden Bears travel to the No. 15 Alfred Saxons on Saturday in Round 2 of the NCAA Division-III football playoffs. Alfred University went 10-0 in the regular season, winning the Empire-8 Conference, then defeated Bridgewater State in the first round 33-27. 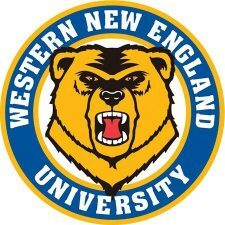 Western New England won the New England Football Conference (NEFC), going 7-0 in the conference and 10-0 overall. The Golden Bears won their first round battle against Husson, 44-27. The Alfred Saxons started the season with a 35-28 victory over Husson. The Saxons scored at least 30 points in every game this season except for one, a 20-6 victory over Ithaca. During the regular season the closest margin of victory was that seven-point victory over Husson. In their Round 1 matchup, Alfred defeated Bridgewater State University, 33-27. This was a game that the Golden Bears led at one point, 17-10. The lead would be 24-17, before a field goal and a 34-yard touchdown reception by Emile Frigon put the Saxons on top. A field goal by Joe Savignano tied the score and sent the game into overtime. In overtime, Liam Hobbins intercepted a Danny Higgins pass at the goal line on Bridgewater State’s possession. Tyler Johnson scored from two-yards out to give Alfred the victory. Johnson threw for 176-yards and a TD and rushed for 141 more and a TD in the victory. Frigon had 5-receptions for 89-yards and a score. Isaiah Moak made 20-tackles and forced a fumble. Hobbins intercepted two passes and broke up a third. Western New England also dominated during the regular season, opening with a 26-10 victory over Springfield, and then scoring more than 50-points in three of the next four games. The Golden Bears then shutout last season’s NEFC champion, MIT, 37-0, then defeated Endicott 20-7. That 13-point win was the closest margin of victory for Western New England this season. In Round 1, Western New England opened the scoring against Husson with a five-yard pass from Anthony Service to Trent Vasey to make it 7-0. Husson tied the score with 11-seconds left in the first quarter, but the Golden Bears went back on top in their next possession, as Service raced 55-yards for the score. Once again, Husson would battle right back to tie the score, and the game would be a 14-14 affair at the break. Service’s seven-yard pass to Nick Connell put the Golden Bears back on top, only to see the Eagles tie the score again. A 25-yard field goal by Kevin Patterson put Western New England ahead 24-21 and they would never relinquish the lead, going on to win, 44-27. Service completed only 12 of his 28 pass attempts, but he threw for 234-yards and 2-TDs, and rushed for 43-yards and a TD. Dante Aiken gained 99-yards and scored 2-touchdowns. Kurtis Jolicoeur led the team with 13-tackles and Sam Olsson recorded 12. Robert Sihlanick recorded a sack and recovered two fumbles. This should be a close game, and the Saxons have proven that they have the mettle to win these kinds of games. Western New England’s strength is their running game and Alfred has a group that can limit their effectiveness. Tyler Johnson is the kind of quarterback that is a difference maker, and he will be the reason that the Alfred Saxons win. The Golden Bears are outstanding against the run and pass, giving them the ability to limit Johnson’s effectiveness. Anthony Service is incredibly intelligent with the ball and he makes plays. Eleven other teams thought they could stop Nick Connell to this point and have had no success in doing so. The Alfred Saxons narrowly escaped against Bridewater State last weekend and were not looking ahead. They met an opponent that was playing exceptionally well, but who isn’t as good as Western New England. That does not bode well for the Saxons. Service will be the difference in this game as he leads the Golden Bears to the 35-27 victory.